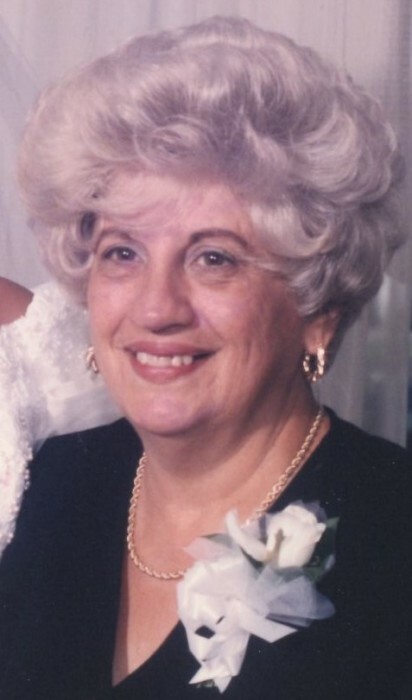 Obituary for Josephine N. (Puliti) Vomer | Scala and Roefaro Funeral Home, Inc.
Mrs. Josephine N. Vomer age 93, of Marcy, passed away unexpectedly on Saturday March 23, 2019 at St. Elizabeth Medical Center. She is now reunited with her beloved grandson, David J. Vomer. She was predeceased by her cherished grandson Dr. David J. Vomer, Pharm, D. on November 8, 2015; also Mary and Frank Tomaino, Sal and Josephine “DoDo” DiMeo and Linda Trotta. Surviving are her beloved daughter Denise “TT” Houseman; her beloved son David J. Vomer and Leian; her cherished grandchildren Christopher Vomer and fiancé Christina Emmanuele, Marissa Vomer and fiancé Stacey Dean and her children Jack and Haylie; also her extended family, her goddaughter Jodianne Labella and husband Nicholas and their sons Nicholas and Daniel; Donnie and Lisa Hughes and their daughter Tricia and husband Jean Warner; Frank and Anne Pinnisi and their children Frank III and Trisha Pinnisi, Donato Pinnisi and Nicholas and Brittany Pinnisi; and Tom and Rich “Yogi” Wood; Josephine also shared a special bond with her grandchildren’s friends whom she loved dearly and who affectionately referred to her as Nonnie Vomer; and also her grand-dogs Joey and Barney. Relatives and friends are invited to attend her Mass of Christian Burial on Wednesday morning at 11:00 am in Mt. Carmel/Blessed Sacrament Church. In lieu of flowers, donations may be made to the Maynard Volunteer Fire Dept., Marcy. In memory of Josephine. Envelopes will be available.